Willie Calcote is one of the best car salesmen that I have ever had the pleasure of meeting. He listened to my car needs, helped me select the right car and worked the best deal for my family. The dealership staff is friendly and so awesome with my kids. 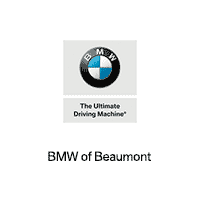 I would strongly recommend anyone to BMW of Beaumont.